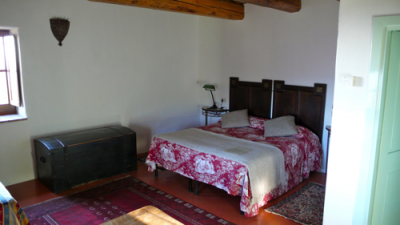 Agriturismo, B&B, Vacation Rental, Cooking School Alla Madonna del Piatto - Assisi. Official booking page = best rates! 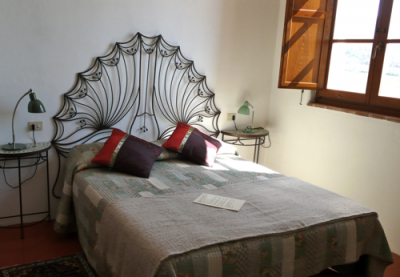 When would you like to stay at Alla Madonna del Piatto? Please check here the availability of B&B rooms. Please note: you can use this page only to book a B&B room, for our Moraiolo vacation rental please go here . Please make sure to inquire about cooking classes before booking. We do not charge any payment, we only collect credit card information to secure reservation. Please pay here at our home after check-in as instructed in your booking notification. Photos of rooms are intended as an example, we cannot guarantee the choice of a specific room unless you have mobility problems. The triple room can be booked for 2 people only when all double rooms are occupied. All our rooms are comfortable, ensuite and have beautiful countryside views.